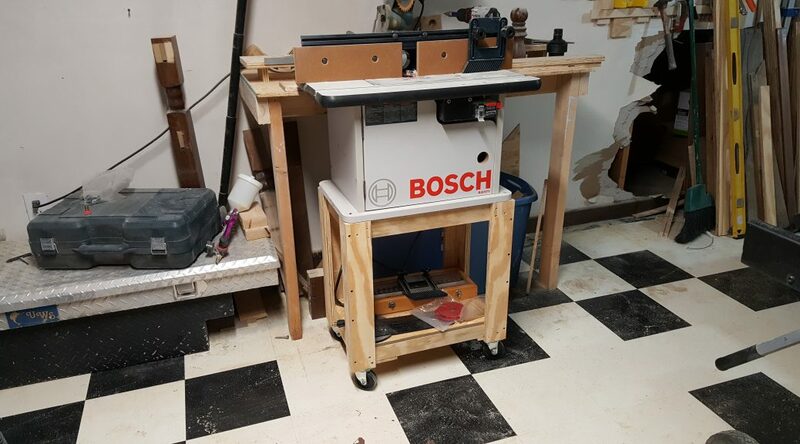 I inherited a Bosch router table and router that belonged to my wife’s dad. It had never been used, and all the router accessories were still in there bags. 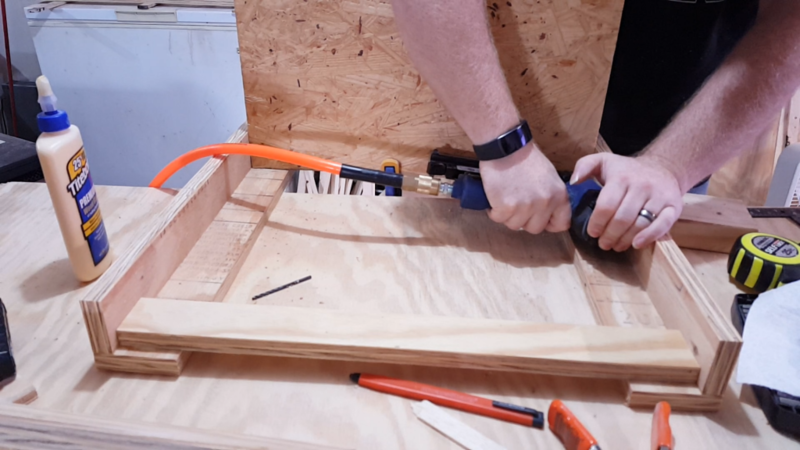 I first used this router table on the book case project, and it worked well except for the fact that I had to prop it into some saw horses. So I decided to make a cart for it to sit on. 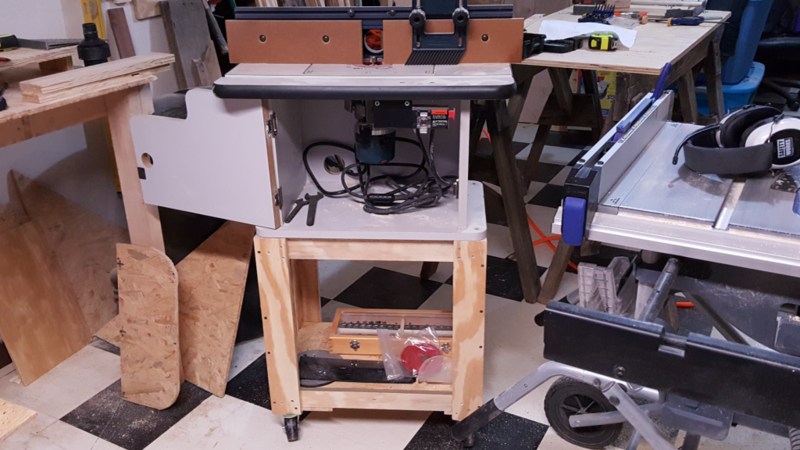 I built the cart out of scrap plywood I had laying around the shop. 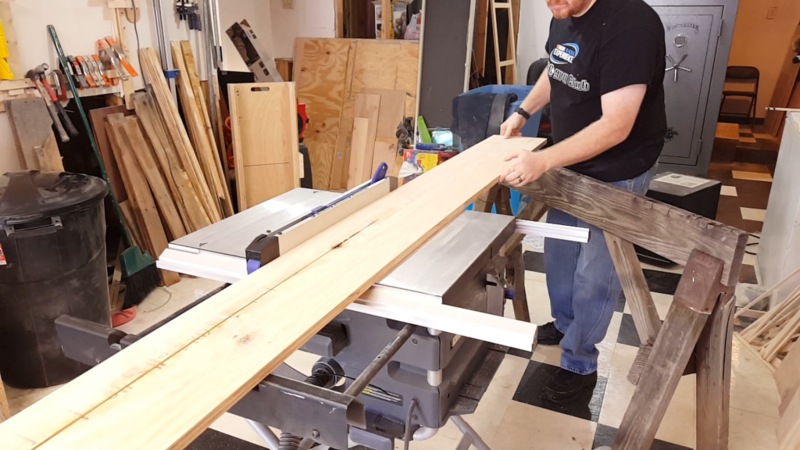 I started out ripping an 8 foot length into 3″, 2 1/4″ and 2″ inch strips. I then cut those strips down with the miter saw. 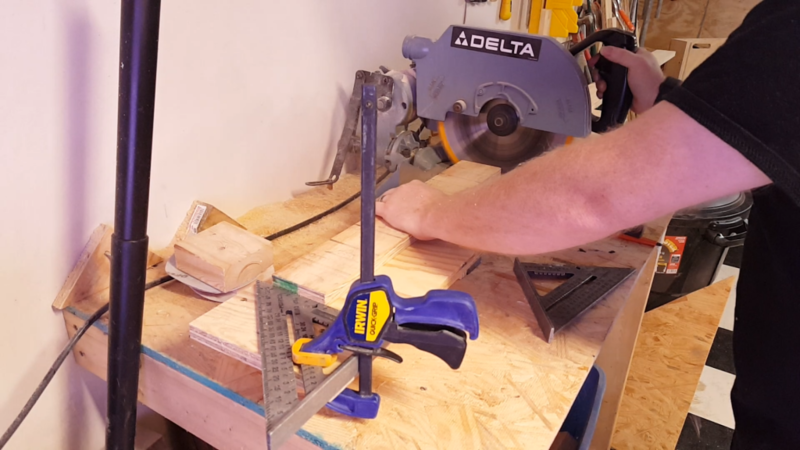 The 3″ and 2 1/4″ strips got cut down to 20″ to get 4 pieces each. four of the 2″ strips also got cut down to 20″, and then four more got cut down to 11 1/4″. 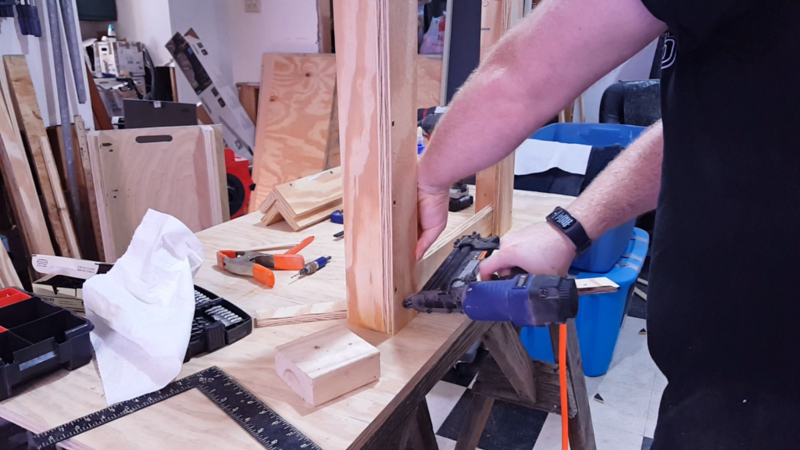 After all the cutting, it was time to assemble the legs of the cart. 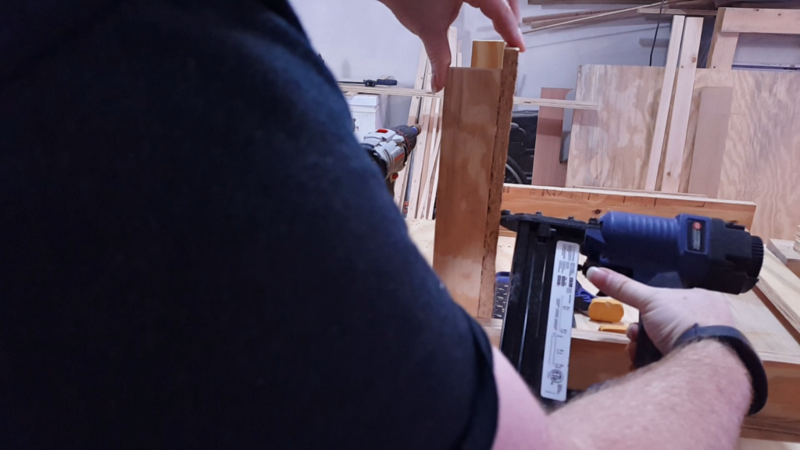 One 3″ and one 2 1/4″ piece is glued, nailed and screwed together to make an “L” shape. 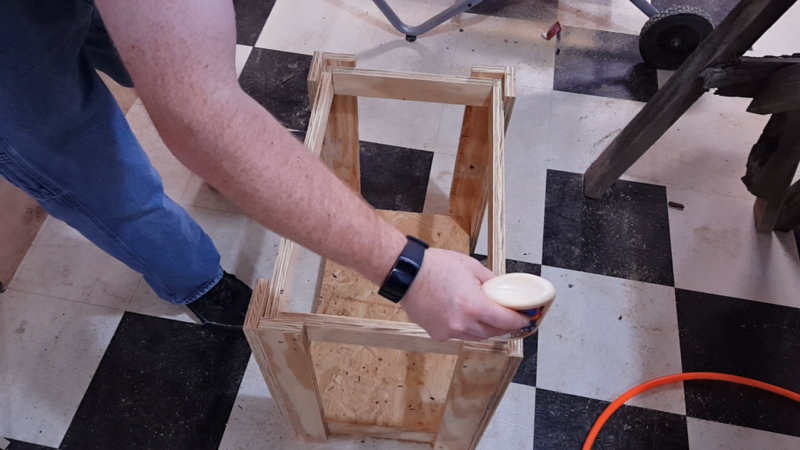 Then two 20″ x 2″ pieces are put onto two legs, spaced a 1/2″ from the top and bottom. That makes two long sides. 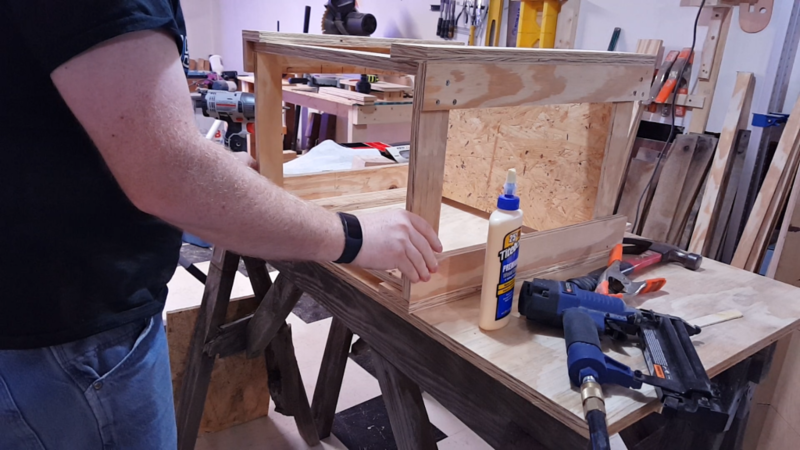 These pieces also get glued, nailed and screwed. 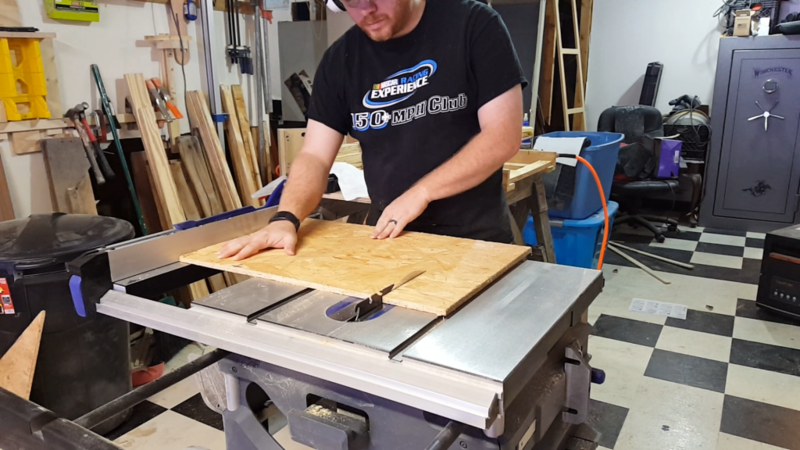 I cut two panels out 1/2″ OSB scrap to 20″ x 12 3/4″. This will be the bottom shelf and the top. 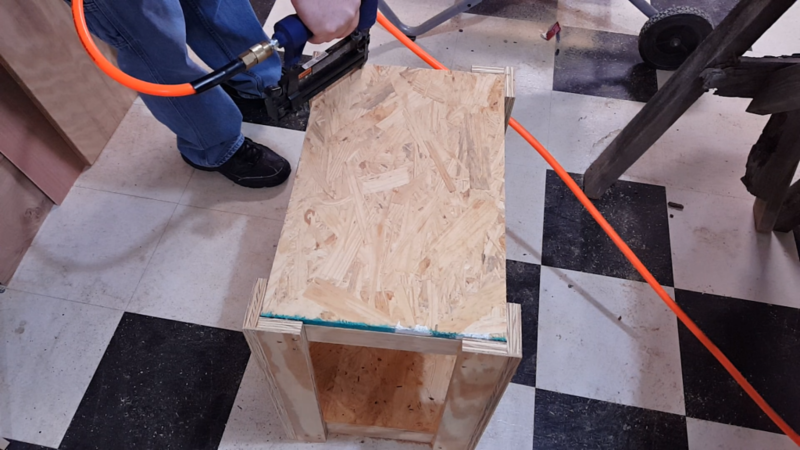 I also cut two strips to go onto the bottom of the cart for the casters to attach to. I installed the bottom shelf onto one of the sides of the cart, and put on the short rails top and bottom. Then, the two sides were put together. 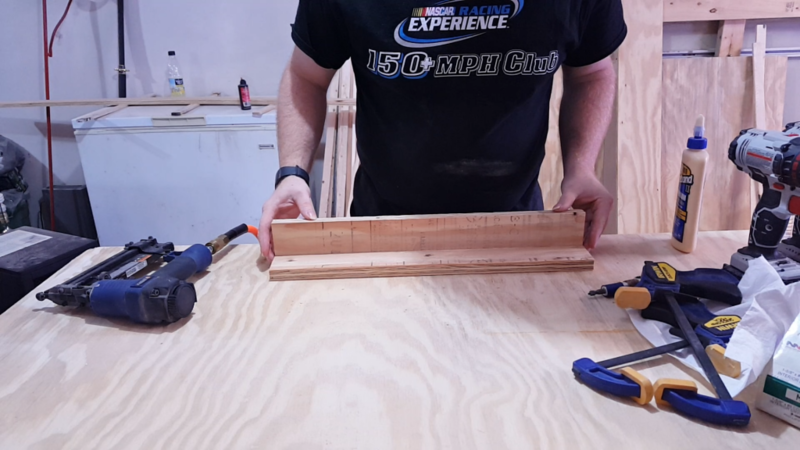 The top for the cart is glued and nailed onto the rails. 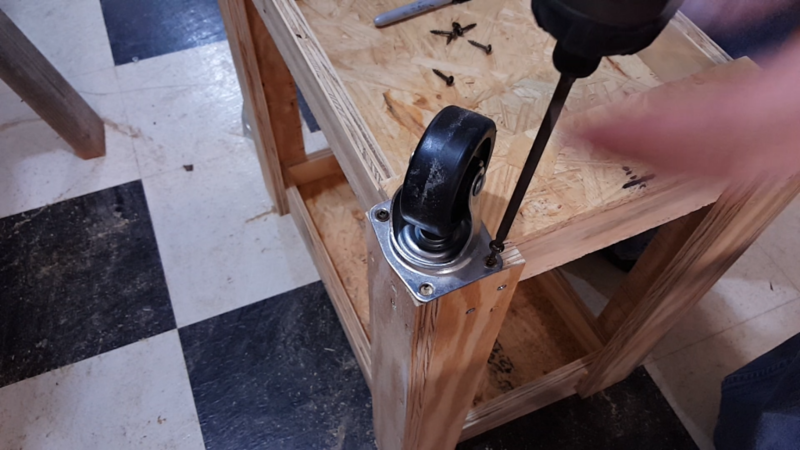 Castors that were robbed from a Harbor Freight furniture dolly are attached to the bottom. Four castors cost more that this dolly. The final product. This is a pretty cheap project that can be adapted to many applications.